Let me take a moment to address the fact that the author, John Weirick, and I are friends, and your probably appropriate question of whether I can give an honest review. In the interest of ethics I thought it necessary to disclose the fact that we are friends. And in the interest of being a good friend, let me assure you that if the book wasn’t great, I wouldn’t be writing this—I’d send it back and tell him to fix it. Through his stories, John draws out truths about life and God. He wrestles with doubts and questions, and lets us—the readers—know that it’s OK to wrestle with doubts and questions too. He helps us examine our lives and choices and calls us into the people we are meant to be. Like John, I live in the paradox of being an introvert who also understands my need for genuine connection in relationship with others. Reading this book helped me see how I can grow healthy relationships without losing myself in the process. I can connect with people without giving up my need to recharge and reflect in solitude. I was really excited to read The Variable Life because I am terrible at making decisions, and I’ve been working on growing my confidence for a couple of years now. It did not disappoint. Weaving truths through his unique style of storytelling, John calls readers into a deeper connection with the author and creator of our stories. And he shows us, with humor and honesty, how to build confidence and gain clarity through connection with God and with others. You’re facing decisions and afraid of making the wrong choice. You’re an introvert who wants to learn how to build meaningful relationships without losing yourself. You want to connect with God and people in meaningful ways. You want to learn how to handle conflict in ways that build up rather than tear down relationships. You want the work you do in life to have meaning beyond a paycheck. I would wholeheartedly recommend this book to everyone who wants to build a meaningful life and connect with God and people without losing sight of yourself. 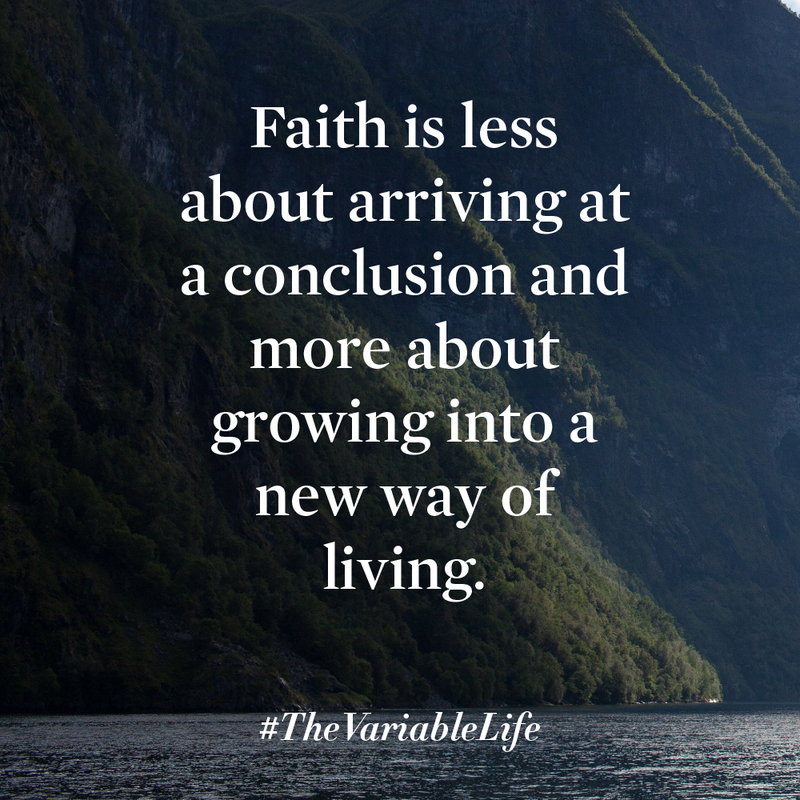 Learn more about John and The Variable Life, preorder the book, and earn some fantastic exclusive rewards by supporting The Variable Life on Kickstarter.